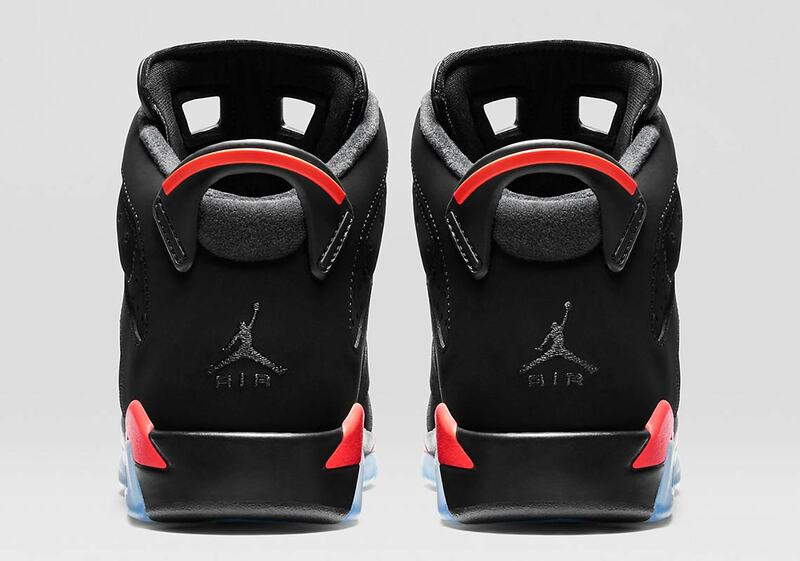 The beloved Air Jordan 6 “Infrared” with classic Nike Air branding is set to return in February of 2019, and anticipation is already sky-high. 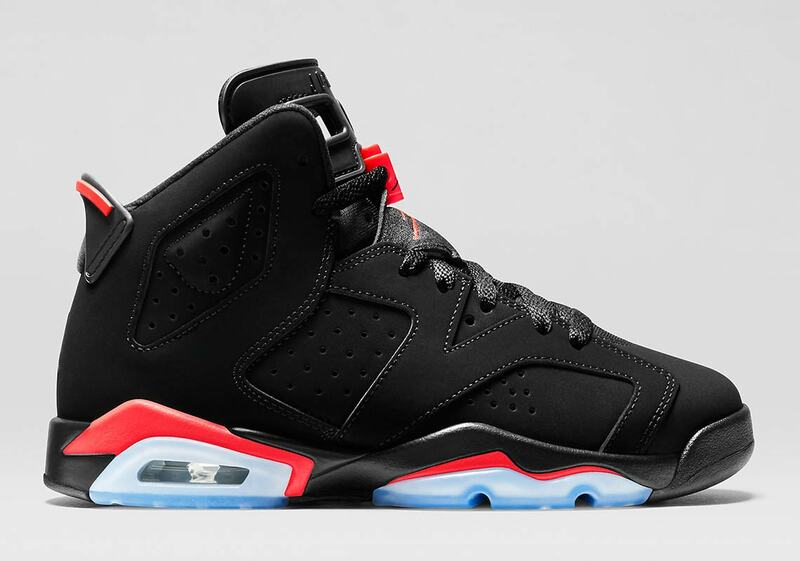 As one of the most popular Jordans of all time, it’s no wonder that the sneaker-loving world is eagerly anticipating their return — so Shoe Palace is taking matters into their own hands, and re-stocking grade school sizes of the 2014 Infrared AJ6 release at the tail end of November. 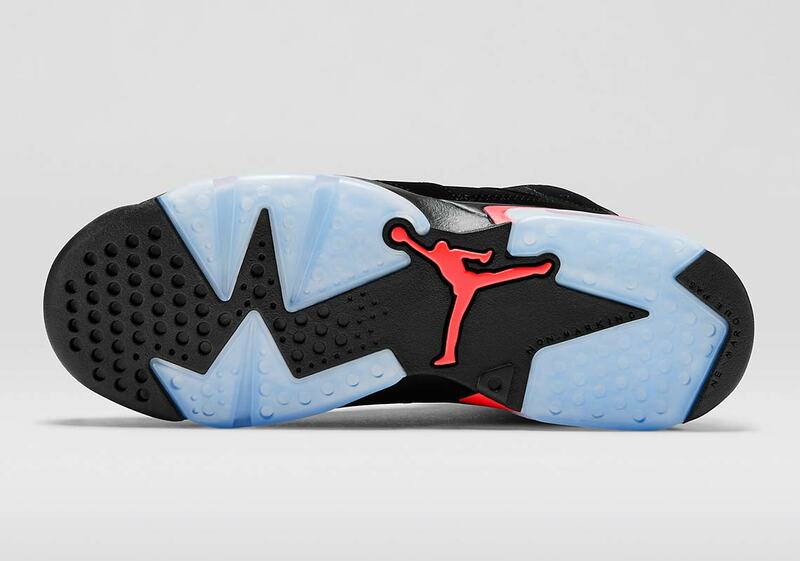 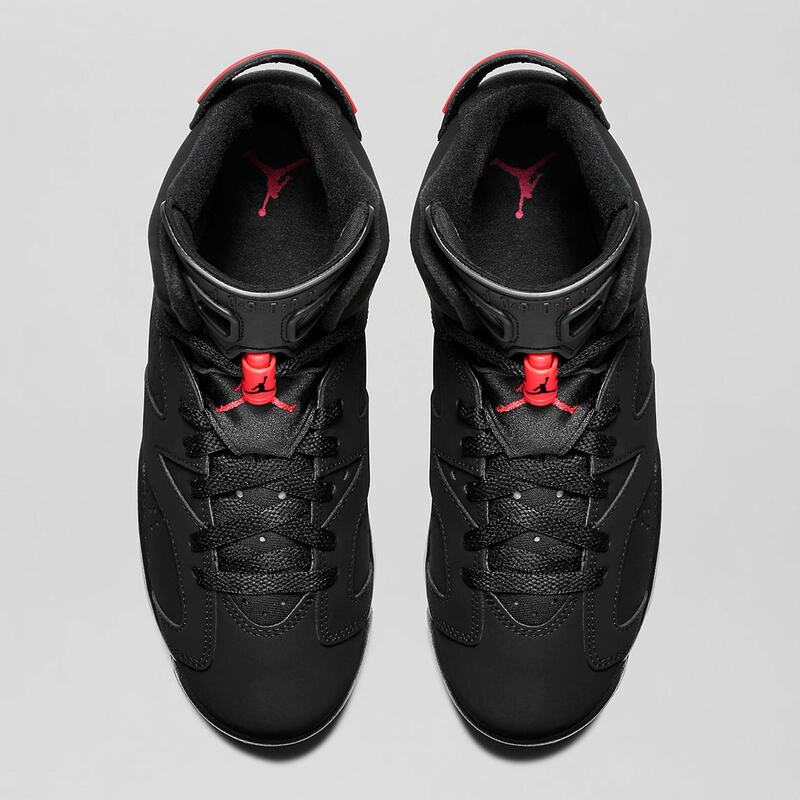 The shoes are mostly similar to the upcoming version — the layered black suede upper, bright infrared detailing, and icy sole are all unchanged — but the one main difference is the heel features Jumpman branding instead of an OG Nike embellishment. 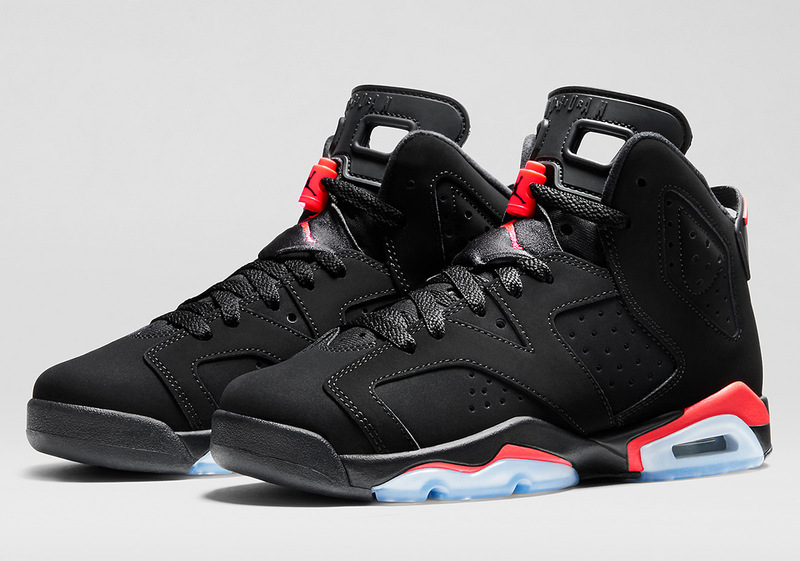 If you’re a small-footer and don’t feel like waiting until February to get your hands on a pair of these legendary kicks, head over to Shoe Palace on the 30th to secure your pair for their original retail price of $145 USD. 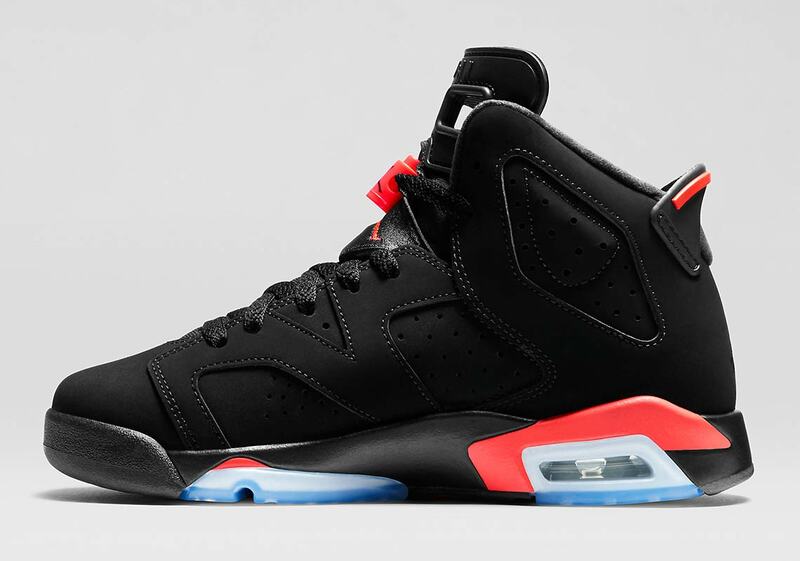 Update 1/18/19: The 2019 GS Air Jordan 6 Infrared — complete with Nike Air branding on the heel — will release February 16th.